Daily meditation can often help keep you calmer throughout the day, especially when the going gets rough. This can be as simple as sitting quietly for 10-15 minutes daily, focusing on your breathing as the breath goes in and out of your nose. Many people find that meditating every morning gets them in the right frame of mind to start their day. Alternatively, meditating before bed often leads to better quality sleep. Try each (or both!) for a month and see which works best for you. If you find that it is difficult to keep your mind focused, you may want to use a guided meditation or visualization. This simply means that you listen to an audio that directs you what to do, giving your mind more directed guidance which often allows you to stay focused. There are literally thousands of audio meditations available online and in your library. If reading is more your thing, a great book to have on hand is Full Catastrophe Living by Jon Kabat-Zinn. This book contains a complete program, including different types of meditations, visualizations and yoga that can be incredibly useful to establish a regular stress reduction routine. Just taking deep breaths throughout the day can lead to a heightened awareness of how you are feeling and allow you to calm your reactions to daily stressors before they get out of hand. Set a reminder (on your phone, watch or computer) and take a couple deep breaths every 30-60 minutes. You get the idea – by associating taking a deep breath with activities that happen regularly throughout your normal day, you’ll naturally begin to breathe deeply more often, reducing your stress response. Here are some great breathing exercises you can also incorporate into your day. Many people find a regular martial arts practice to be incredibly helpful in not only relieving stress, but also feeling more grounded and to aware of how they are feeling. 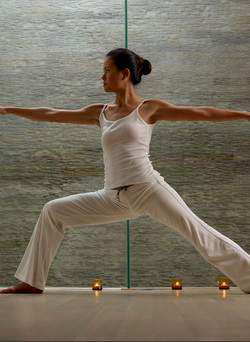 Many martial arts can fit this bill, including yoga, tai chi, and qi gong. Find a class or local group and give one or more of these a try. We discussed keeping a journal to help determine your specific migraine triggers, but a journal can also be a great stress reliever. You can often write down things you don’t feel safe enough to say, and this can be incredibly cathartic. For instance, if you are steaming-mad about something, write down exactly how you are feeling and what you feel like saying or doing; get it all out – every last detail. Once you have vented all your feelings and frustrations on paper, you will often be much clearer on what you need to do without the added emotional charge that could get you into trouble. Many people find that keeping a daily or weekly journal is a great way to get their thoughts, including distressing thoughts, down on paper and out of their head where they would otherwise cause a never-ending cycle of worry and suffering. If you still have a charge after getting your thoughts down on paper, you may want to tear up or tear out the paper and even through it away or burn it to release some of your pent up energy. Try it – you may be pleasantly surprised at the weight that can be lifted off your shoulders by picking up a pen. If stress has really got you down, it often helps to talk about it. Like journaling, this can be another way to get thoughts out of your head so you can deal more constructively with them. Unlike journaling, talking with a trained professional can lead to new ways of thinking and help you find your solutions. For whatever reason, many people view counseling as a sign that they cannot handle the pressures of the world (when they perceive that everyone else is handling them adequately). This could not be further from the truth! Talking to an unbiased person about what is happening inside you can be one of the most enlightening and freeing experiences you can have. Humans are a social animal; we need to talk and communicate with others to survive and thrive. Counseling will help you get out from underneath the cloud that seems to follow you and let your sun shine through! There are many different kinds of counseling (also called psychotherapy), so you may want to ask around and schedule initial meetings with prospective counselors (this is often free and/or covered under many insurance providers) to see if you think it will be a good fit. It is very important that you feel safe and comfortable with your counselor or therapist, so look around until you find a person you resonate with. When you are with that person, let it all out – it’s not often we get a set of ears that are solely keyed into what we are saying. Take advantage of your time together and release any pent up thoughts, feelings or frustrations so you can work on resolving and releasing them. Massage the neck and back of the head daily; better yet, have someone else do it! Place two tennis balls in a clean sock so that they are side-by-side; tie the sock so the balls cannot move. Place the sock on the floor and rest the back of your head on it so that the tennis balls rest on the base of your skull. It may be tender at first, but it will help with promoting optimal blood flow to the brain and reduce your tendency towards migraines. 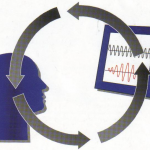 Studies have shown biofeedback training to be useful in lessening the frequency and severity of migraine attacks. Typically, a person’s hands cool to as low as 65°F before a migraine attack, signaling a construction of the blood vessels. Raising the temperature of the hands can prevent this and avert the attack. 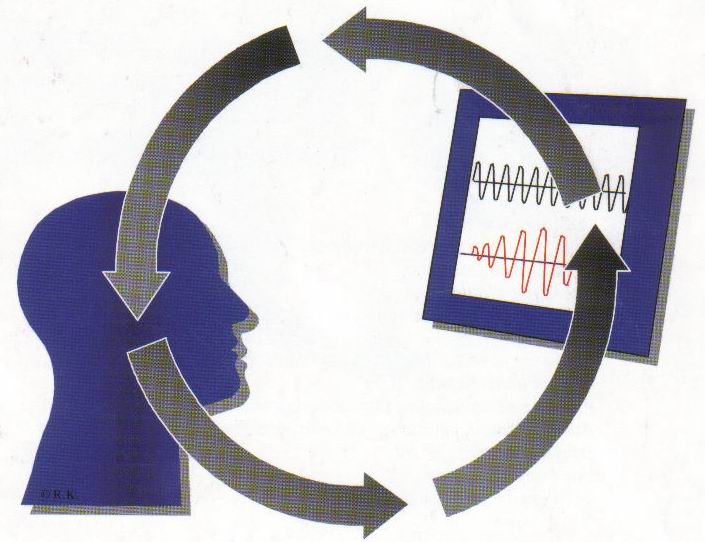 Those trained in biofeedback learn to relax, thus raising their temperature in seconds and preventing vessel constriction. Taking a hot bath also can be helpful. Music has a calming effect and can help to relieve migraines. Put on some soothing music, especially before bed, to help you relax and unwind from your day.